One Of The Five Towns That Make Up The Cinque Terre Region - Vernazza. Aerial Spring Sunrise In Liguria, Italy, Europe. Picturesqie Seascape Of Mediterranean Sea. Traveling Concept Background. Fotos, Retratos, Imágenes Y Fotografía De Archivo Libres De Derecho. Image 116552032. 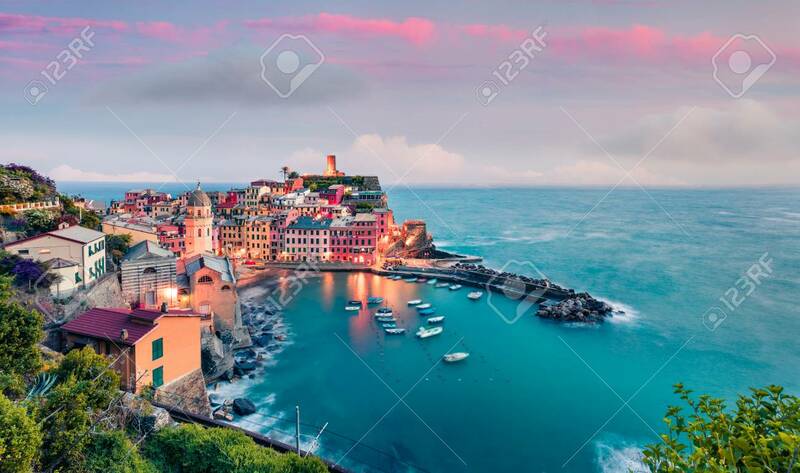 Foto de archivo - One of the five towns that make up the Cinque Terre region - Vernazza. Aerial spring sunrise in Liguria, Italy, Europe. Picturesqie seascape of Mediterranean sea. Traveling concept background. One of the five towns that make up the Cinque Terre region - Vernazza. Aerial spring sunrise in Liguria, Italy, Europe. Picturesqie seascape of Mediterranean sea. Traveling concept background.